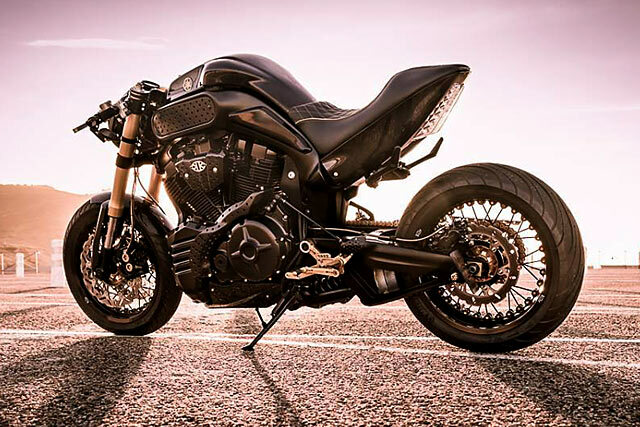 Yamaha’s poor MT-01. Released in 2005, it looked like it had so much customising potential. A killer engine with more torque than the Titanic on Nitrous. 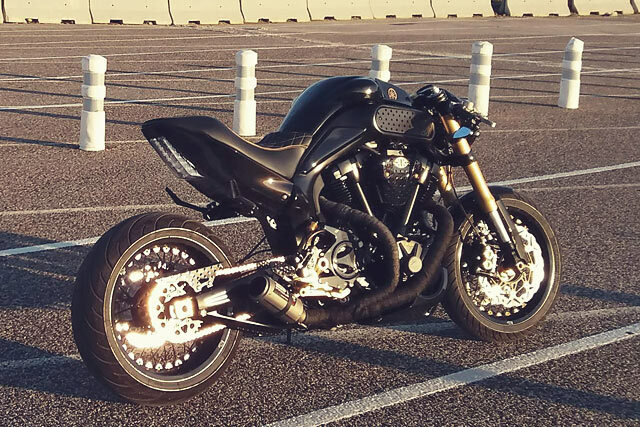 A decent, sporty frame and suspension set-up. Tuning kits straight from the factory. 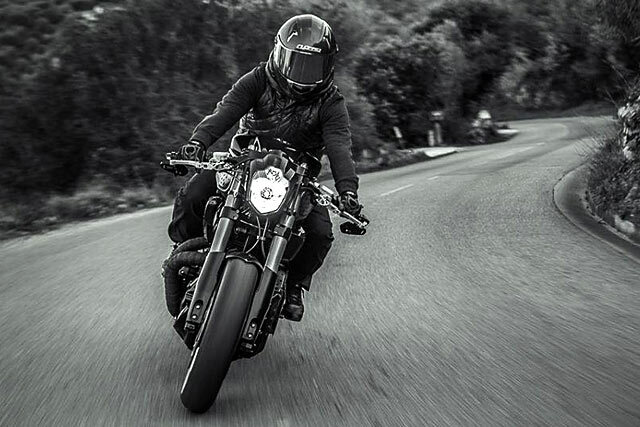 By rights, we should all be complaining about yet another MT-01 custom bike instead of directing it at her Virago grandparents. Yet here we are, all red-faced at having never featured a single Yamaha MT on these pages. Until now. 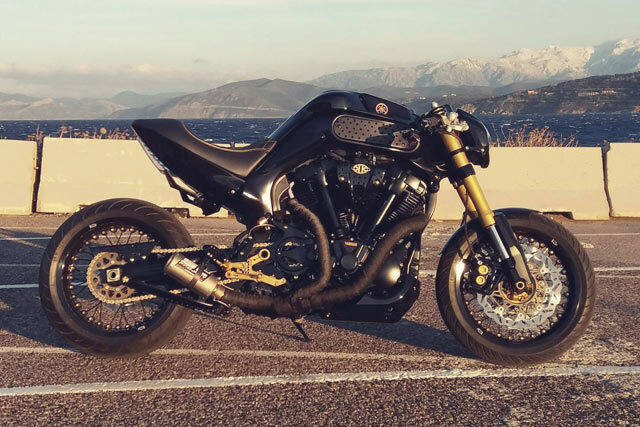 Direct from (of all places) Corsica, here’s Kekedesign Artkustom with their brutal ‘Bull Gold’ cafe fighter. A few months ago, a friend and customer of Kevin’s came to see him with his latest purchase, an ‘05 Yamaha MT-01. He wanted a something unique – which would seem like par for the course with a custom bike. But Kevin says he was insistent that it not look like anything that had come before. 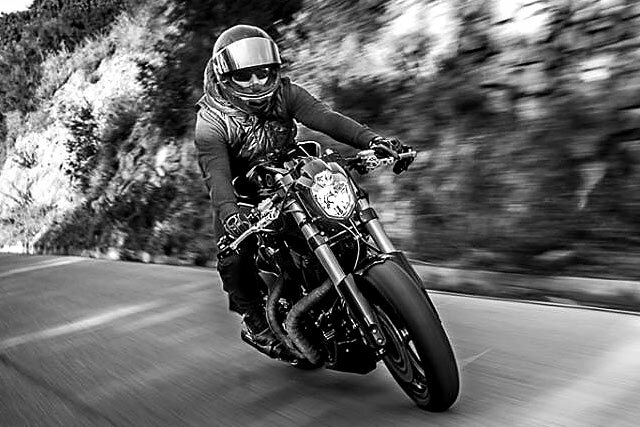 And let’s face it, the MT-01 is a great place to start if that’s your goal. Up front, there’s a new Acewell dial and two retro handlebars who’s end pieces now house built-in indicators. All this is then accented by the ever-popular Kineo rims to reinforce the bike’s tough, no nonsense style. 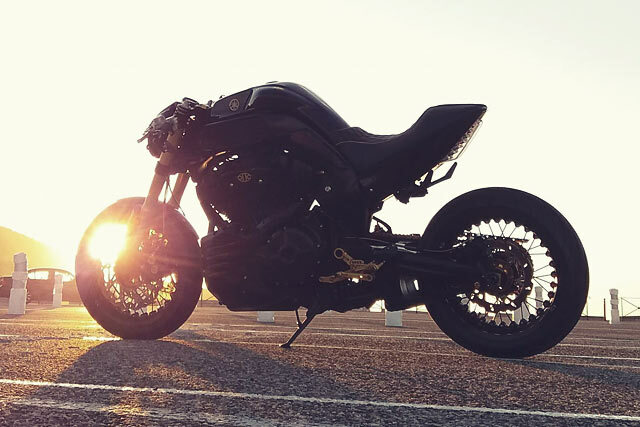 The headlight was then replaced with a new unit from an MT-03, and to ensure it lived up to it’s name with a bit of panache, Kevin got the anodisers to wheel out their best gold shade for the bike’s forks, controls, wheels hubs and all it’s major nuts and bolts. “The mixture of the matt and shiny black is married to all the anodized gold parts,” says Kevin. John Player Special, eat your goddamn heart out. Then on went a sweet SC Project end can attached to the remainder of the bespoke exhaust system, all fabricated in-house. “It makes the bike quite literally resonate the entire island,” he says with a wicked grin. And to finalise the process (and Christen the bike), Kev added the name of the Bull in gold leaf right onto the bike’s tank. “So, after 600 hours of work, the Yamaha Bull Gold was born. A fluid line, massive and compact at the same time, imposing but sleek. It’s a real riding pleasure on our winding roads, and as the owner request, a very unusual look. 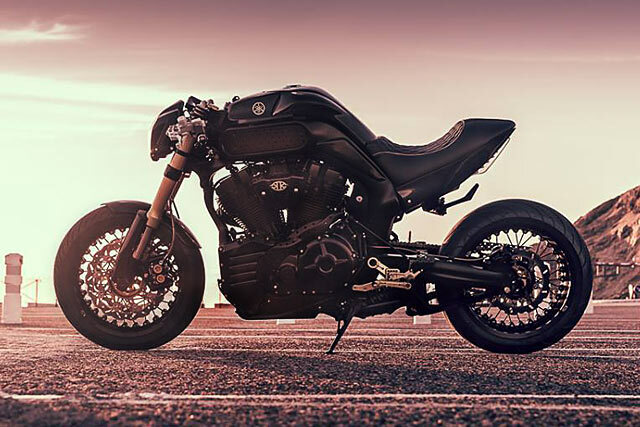 For me, it’s a motorcycle which represents what I see as a new generation of cafe racers – something I call a ‘cafe 2.0.’ Another coffee? Don’t mind if we do.